Just doing what’s popular would make us healthier, wealthier, wiser and less indebted. First — no shocker — it's the economy. According to a recent Gallup poll consistent with previous findings on this issue, 99% of Americans want job creation bolstered. Lawmakers only have so many options when it comes to directly affecting job growth, and one of the quicker ways is to invest in repairing our crumbling infrastructure, currently rated D+ by the American Society of Civil Engineers. Such repairs would require substantial new spending in the near term, which would seem to conflict with another top priority of Americans: 92% say cutting spending and reducing deficits are also important. But we can invest in jobs and infrastructure and make this money back many times over just by doing the other things Americans support. First, though, let’s toss in another issue that comes in high on American priority lists: expanding education funding. Critics say that support for more education spending shrivels when proponents are threatened with higher taxes on the middle class. But there’s no need to hike middle-class taxes; we can raise taxes only in ways favored by a majority of Americans. Do that and you could fund pre-kindergarten to research-university public education in the style that around 60% of taxpayers consistently support, and with money left over. Case in point: a strong majority (73%) of Americans want to reduce our reliance on oil, gas, and coal, while a narrower 50% want action on climate change. A carbon tax addresses both issues by making innovation in alternative energy attractive, while reducing carbon output. Championed by economists across the ideological spectrum, such a tax has the added benefit of raising an estimated $125 billion annually with a tax of $25 per ton of carbon dioxide. Some of that money could be used to offset higher energy prices for low-income Americans and the rest for those generous increases in education funding. 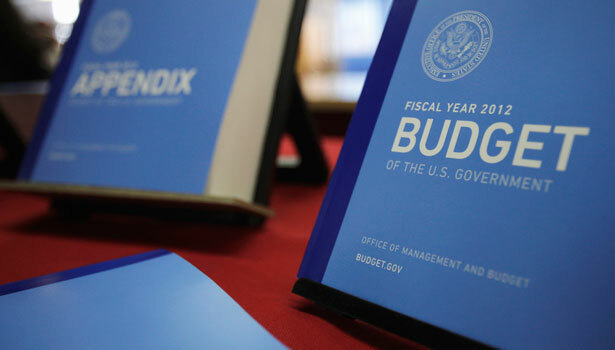 There are few specific federal budget items that a majority of Americans agree should be cut. But according to Gallup, 58% of us favor “major cuts in military and defense spending.” Ask the question in more detail and you’ll find that the average American wants an 18% reduction in the Pentagon’s budget. That can be done without compromising national security because we currently spend extraordinary sums on a force structure tailored to the Cold War and throngs of outdated or wasteful weapons systems — like the problem-ridden, historically over-budget F-35 Joint Strike Fighter that has already drained $84 billion from the U.S. Treasury, and is projected to cost $1.5 trillion over its lifetime. Next on the list: polls show that two-thirds of Americans want the wealthy and corporations to pay more in taxes, and a blockbuster majority of 90% wants a simpler tax code. It won’t surprise you to learn that the present tax code is a playground for the rich and their talented accountants. Americans for Tax Fairness, a coalition of 280 organizations (including my employer National Priorities Project), identified 10-year budgetary savings of $2.8 trillion simply by limiting or eliminating a plethora of high-income and corporate tax loopholes. This week, Barack Obama became the first Democratic president ever to propose lower Social Security benefits. On this, polling tells us, Americans couldn’t be clearer. From progressives on the left to the Tea Party on the right, nearly 90% of Americans want Medicare and Social Security benefits kept intact. Estimates suggest that a third of health spending in this country is wasted in a system of uncoordinated, fee-for-service care. Some primary-care organizations have, however, bucked the trend by favoring a new “bundled payments” model of healthcare in which doctors are paid for their overall treatment of a patient rather than one test and procedure at a time. Organizations that made such changes reduced costs by 15% to 20% without compromising quality. Medicare is pilot-testing such changes with promising results. Massachusetts lawmakers have already passed landmark cost-containment legislation that will usher in this new form of payment across the state’s substantial health sector. We should be racing to implement these changes nationally. Since there isn’t a good estimate of how much could be saved in Medicare if such major changes were implemented, let’s be particularly conservative and estimate only a 5% savings. That would still shave around $400 billion from federal spending over a decade.